Can you believe the best part of six years have passed since Oculus arrived on the virtual reality scene? Since then VR has been the buzzword to dominate practically every tech trade show, with manufacturers big and small eager to dip their toes into what promised to be a profitable new dimension. But the buzz seems to have settled and it feels like we've been talking about the potential of virtual reality for quite some time. At which point do we step back and wonder, is VR really the way forward or is the tech destined to follow in the footsteps of 3D? Headsets are now more readily available than ever before, so whether you've tried the technology or not, let us ask: do you think virtual reality is a fad? We're intrigued to know where you stand so let your feelings be known using the comments facility below. I hope it won't be but, suspect it will go the same was as 3D television. It all boils down to cost and that includes the headsets and the hardware to drive them. Its kind of indicated by the PS4 VR selling as much(or even more) than the combined total of the PC equivalents. However,VR adoption is starting to falter a bit. 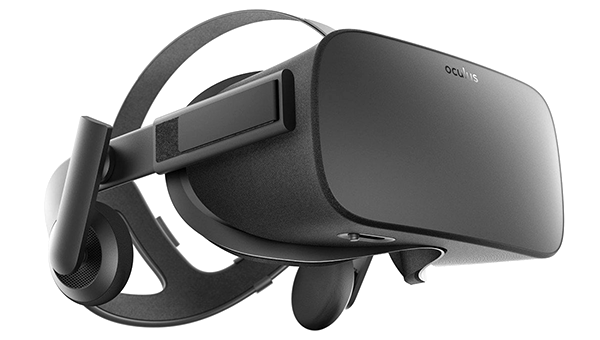 Based on multiple surveys with 12,000 consumers, YouGov found that the adoption of VR hardware has effectively stalled. 7 percent of U.S. adults now own a VR headset, according to YouGov, compared to 6 percent a year ago. “The penetration has plateaued,” Fuller said. Fuller also shared some reasons voiced by consumers about why they haven’t bought into VR just yet. On the top of that list continues to be the high price for VR systems, despite recent price cuts. “Cost is a major constraint to consumer adoption,” he said. However, consumers also told YouGov that they fear of nausea and isolation, and believe that there isn’t enough good content available for them. Aside from the cost issue, Fuller argued that the industry also could do more to embrace additional forms of content that go beyond gaming, with data showing that a significant amount of consumers were looking to watch movies, take house tours and even do shopping in VR. AR,has already seen quite decent market penetration with games like Pokemon Go and Ingress,but these also do bring a social aspect to them and work with exisiting hardware. I think VR will be crippled by the cost and availability of graphics cards. and that is on the cheap, most people I know with a rift bought a 1080 or 1080ti before the prices shot up because you really want those pixels fluid. So that basically leaves you buying a PS4. Edit: I know plenty of people who want a VR headset, but the cost won't get past the wife veto. Then there is the fact that most people buy laptops, and you can't upgrade one of those to VR spec. For home use it is very touch and go because of price etc. - I hope it doesn't fail but it isn't looking promising in all honesty. However, public and professional usage I can see big markets for, surgery practice being a good exmple of professional use, now with public use there are already VR Centres in arcades (saw one in the Trafford centre not long ago). If the likes of sega arcade replaced the screens on their arcade simulation machines with a VR headset, they would be on to a winner! Given how many companies are adopting VR kit for things other than playing computer games, I'd say it's a bit more than a fad. We ourselves have VR kit operating with our site view drones, our pipe cameras and in some of our training courses. Given better tech with better pricing and better content, VR would see far more use in the home, too.